Well, without always taking the time to make notes and write up a full book review, I thought I would blast out a summary of 14 books I’ve read recently and my major takeaways and ratings of these books. This a great book and sequel to the first, Freakonomics. If you are interested in some of the strange economics and statistics that lead to questions to the norm, then this book is for you. I particularly loved the content on global cooling, altruism and the value question between pimps and realtors in regards to add societal value. This book covers a scope of how information has become open, shared, global and done with peers. For bloggers who are well read and informed of the many social aspects, marketing and sharing tools, I wouldn’t recommend the book, but for those are are interested in how these social circles work, the tools and methods within them and to learn more about the shift in information creation, then it covers a wide scope and should give you a deep gain in knowledge of how editable online content has emerged and is shaping the direction people use and rely on for information. I was extremely disappointed in this book as its not a book on self promotion for introverts at all, its cookie cutter advice for business promotion primarily in extroverted methods, which simply don’t work for introverts. I’m an extrovert myself but was hoping to find better ways to explore and coach introverts in their own methods that would be more compatible for them with self introspection and creatively in their ways, but this book is not that. I actually couldn’t finish reading it I thought it was so useless and the author’s continual reminders and emphasis on extroverted methods are rather patronizing. Well this was an interesting read for the sense of gaining perspective in the whole aspect of privacy and security with internet data and information. It is really a transcript of various discussions with a panel of experts on the subject and they very intelligently explore some of the challenges society faces and the troubles with internet security and privacy of data. Some of it is actually quite scary as you learn about the many controls in place on these areas you may not even be aware. While I found it intriguing, I also found it a bit boring and there is good thought provoking dialog but nothing really to give you much in the way of take aways, really lessons learned or applicable knowledge. It might be different if you are in this space more closely than I. This was a book I thoroughly enjoyed will likely read it again to help remember, practice and deeply learn the hundreds of techniques, ideas and methods to reading someone else’s body language. It covers a huge spectrum with interesting case studies and experiences shared for many of the techniques which puts more substance to them. 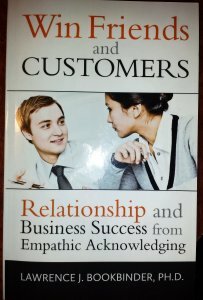 If you are interested in learning to read and understand people better in face to face communication, then this book is an absolute must. Facts are something that may seem like they don’t ever change, but this book challenges and actually proves that to not be true. All facts and what we know as knowledge changes over time and there are realities to that which we should consider in how we use information and what we would call, “facts”. Its quite an intriguing book and I enjoyed reading it, as it gives data evidence and examples to prove points (which I like) and it really makes you think about some of the data you “think” you know is true and where much of that comes from. It forces the reader to ponder some of the ways you use information. 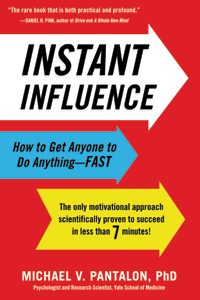 This book was a fun read as it takes a look at many aspects of where waiting to make decisions until the last possible moment can have excellent results, despite common thinking on procrastination. Its very well written, funny and engaging for the reader as useful and common examples of decisions for life are explored to see how waiting can be a serious advantage. Definitely a fictional rarity for me but I did enjoy this book. The Long Earth is a scientific imaginative exploration story through a journey millions of universes wide to discover and seek out if other humans have evolved in these many universes. I disliked the lack of plot and real story development as much of the book seems like a stream of story sci-fi bits pasted together as the characters ‘step’ from one universe to another, ever stepping farther from earth. It’s completely anti-climatic which was disappointing yet I was still a bit intrigued with the whole concept and the ways the parallel universes are exploited and inhabited by humans. This is a good introduction book to learning and detecting body language but it is somewhat simplistic and does not tie in enough cues together to really be able to understand body language well, as the book “The Power of Body Language” above does do. It makes many mentions about how just a couple cues were used so obviously in the author’s job experiences, that it seems like he is overselling the body language as as set of obvious signs, even though it is not, nor does he lay that claim. Its a good starting book to start reading body language but I’d recommend the book about on the subject over this one, as its more interesting, much more in depth and covers subtleties and relationships between conflicting body languages signs much better. This is an excellent book and I highly recommend it. It is simple to understand, very actionable and the methods are easy to learn and remember. Listening skills are so crucial to good communication and I found that I learned a lot of things I can still apply more often from this book and some new techniques and methods I would have never had before. The tools he provides will help you put your mind into the other side of communication and focus on the other person, which many people say but never give you a good set of tools like Goulston does to actually accomplish this. If you want to improve your listening skills and take some his challenges to overcome some of your own pride, I suggest you read this book, apply his techniques and start listening to what others not only say around you, but what they have to say about you. I have enjoyed many articles and books on the science of the brain and so Connectome was a book that really intrigued me. A Connectome is essentially the entire neural network in your brain that makes you, well, you. It is a unique mapping to every individual, it of course changes dramatically over time and it is something that scientists would love to be able to map out in its entirety, which is under way for extremely simple animals, but decades away from even conceptually mapping a human mind due to its complexity. Seung explores neuron types, synopses and the relationships between them as actors and interchangeable parts. If you know this science at all, you are sure to learn some interesting things about the mind, how it works and how science is discovering its capabilities and simulation of those areas. Overall, I thought it was a bit too science oriented without a lot of take-aways (unless your a brain scientist) so I’d recommend The Brain That Changes Itself if you are looking for a mix of science and story about the amazing structure, uniqueness and adaptability of the mind. Vaynerchuk is has earned respect from his blogging, videos and now his books as well as he dives into the social arena with this one. It covers all the necessary advice of how companies must not overlook social media and change the way they think in order to grab attention, act like the small local businesses and reconnect with the people that should be their customers. He always displays a huge passion and this book is no different as you can tell from his unique style, having as many sidelines and comments stuck in with his thoughts as his videos do. Non-conformity has never been too difficult to me as I have many unique sports, have a reputation for being different and for often being know to have a bit of a tendency to break the rules. All these things are covered well in the book by Guillebeau and I thoroughly enjoyed it which I think you will as well. Whether you connect with these concepts or not, the author gives ample advice on how to change these norms and to not get stuck in the normal day to day life the same as the masses with nothing special to show for it. I’ve enjoyed so many of Lewis’ books I thought I would see what a biography about the man would add for me. I have to say that while this book itself delivers well on that subject, it just doesn’t seem to add anything to me for thinking about Lewis’ writing or my own beliefs as result, which certainly all of Lewis’ books have done. If you are interested in the whole story of Lewis, this one uncovers the known, the documented and draws conclusions from evidence to fill in some of the missing pieces of Lewis’ life, but I have to say I thought it was rather boring and uninteresting and I’ve read a few other good biographies as well, so had an idea of what to expect. While that might be for you, it wasn’t for me, I’d recommend you simply read more of Lewis’ work directly, as he has so many amazing books. This book interested me as a way to explore the passions in great managers and I certainly wasn’t disappointed. It looks at how managers can truly connect to their jobs, their teams and their emotional commitment for their work to get real meaning from it. It looks at what makes some of the big difference between an average everyday manager putting in time and a great manager, who emotionally connects with their team and really pushes to maximize their impact with others and the organization. The subtitle hints at it, that is to have truly committed managers and the author, Slap, puts a whole process around an individual discovering what will truly connect them to be committed and ready for caring, impacting work as a manager. I like the messages throughout the book and found many times that their were some very wise comments, rants and advice that any manager who gives a darn can get some value from. A general theme through the book and this process making the title of the book, is to explore, understand and then share the personal values you have as a person in some way to emphasis the company objectives and values as well. It’t not to align the values directly, or to simply use the companies, its to really understand your own values, why you have them, know when and where they formed and then find a way to hold true to those in your workplace. Living your values and fitting that in to your workplace is a way to then truly commit to get connected to teams, goals and values of the company as well. Your values may not match the companies directly, but likely many aspirational aspects of values will align and it will enable you to find a way to make that reality in your daily work. I held my rating at 4 stars because the thing that is difficult about the book, is to realize some of the outcomes that this book promises I think are very dependent on the company culture, where the response to such a process could be a major roadblock and there is not much help in the book at overcoming the obstacles you’d likely face with that. I am fortunate to work in a culture that would easily accept this process and concept, however, I know that is not the case in every company and I didn’t find that addressed very well in the book. 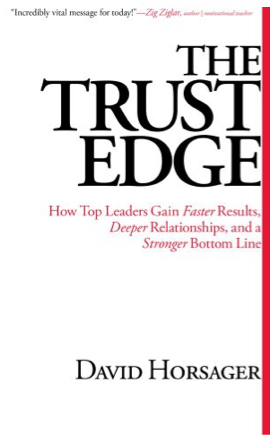 This book would be exceptional for any organization leader who has a need or desire to re-engage managers to a higher level of commitment, emotional connection and value driven decisions. 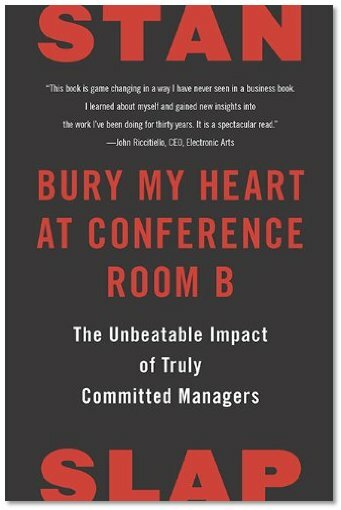 If you want to put some heart into the way you manage or with your team, then I highly recommend this one. Chris Anderson is quite an inspiring guy for anyone with an ambition to find a market for things that interest them and to do something with it. That was the impression I had from his last book, The Long Tail, which you must read if you haven’t already. This new book, Makers is a brilliant addition that uncovers an enormous amount of knowledge and presents it a way that covers how that knowledge is being put to good use throughout the world, but it also inspires you to learn from it yourself and to join the movement and become a maker yourself. A maker is essentially a person who is involved in what he calls the new wave of capabilities for desktop application, content and now, real products that is finally possible on an individual scale to compete in the market place. Makers are those people who are building their own products, producing there own manufacturing capabilities on a small scale and being successful at it. 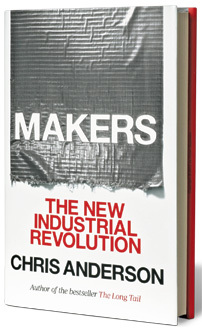 What’s interesting about this book is how so many examples of what Anderson talks about are not only reasonable, but personal since he is a huge part of this maker revolution and so his stories and experience is extremely authentic in the realities of what is possible and what recommendations he has to make from lessons learned. The book covers his theory that the manufacturing arena is going to change and shift from a huge capital limiting arena to one of creativity and equal access. This is just starting to be done by rapid prototyping, 3D printers and personal production devices that enable anyone to get into the manufacturing business with a creative idea at a fraction of the cost of traditional manufacturing. Anderson keeps a very optimistic outlook on future manufacturing and what the wonders of local technology allow anyone to do despite how many downsides and negative consequences of this revolution so many others point out. Either way, in my mind, you can join it, enjoy the creative component and reap some benefits or you can watch others do it despite you, as I too believe that the maker movement will become ever more popular in niche markets where mass production with huge economies of scale will start to lose their market share. I mean, who doesn’t want their own custom etched, physical version of a 3D object they dreamed up. OK, that was my 3D artist in me talking, but seriously, there is so much room for replicating products, fixing parts, tweaking or customizing things the market for this will only continue to expand. His previous book, the Long Tail is used as reference several times, this time, however, to look at how the smaller market, unique products have a tremendous value now since they were simply never affordable to make before. The methods of customization, automation and robotics in scaling production manufacturing systems is covered deeply and its very interesting to hear and learn how easy some of the automation for production has become and how many companies have taken advantage of that to provide fantastic user choices and customization. So, if you are interested in 3D printing, do any kind of product prototyping, would be curious about the capabilities of building your own products, or simply want to learn what Anderson’s expectations are for the future of manufacturing, then I think you will enjoy the read and gain some knowledge and insight you can reflect on for your own maker mindset for custom products.